Pertains to characteristics of a tribe. 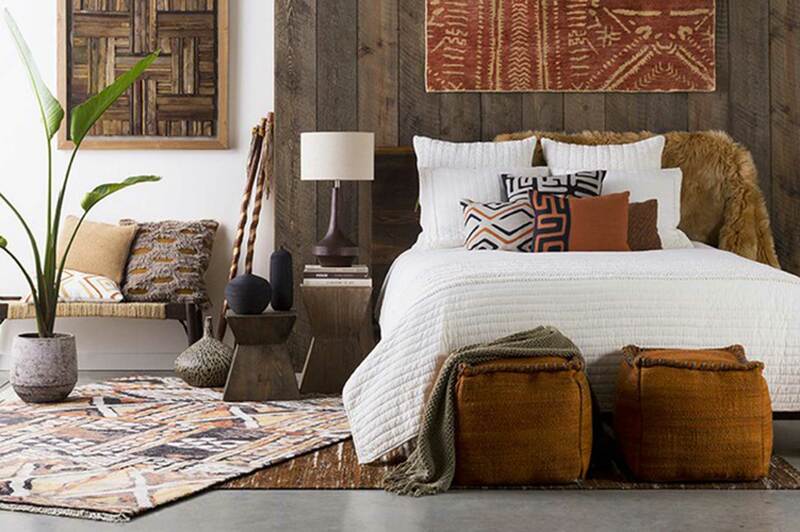 Tribal interior design often ignites the visions of Africa, with smooth worn timbers, planks of stone, hand dyed batik fabrics, intricate grass weaving and animal prints or furs. Think about the bold and beautiful colours of Wakanda from Black Panther. Linen and desert colours are traditional to this style but of late designers are teaming tribal pattern and finishes with exuberant splashes of colour – it’s a tribal revival. Artwork and sculptures bring scale and dominance to a space. This style will elevate any interior style while infusing it with history and culture. Baskets are key to this look. The best part is there are no limits to their use; bedsides, coffee tables, fruit bowls, wall hangings, or even bed ends. Stay true to the tribal weave. Baskets are also perfect for hiding any mess! Tribal interior design focuses on reconnecting with the beauty of nature by using raw organic handmade pieces such as the above mentioned baskets. 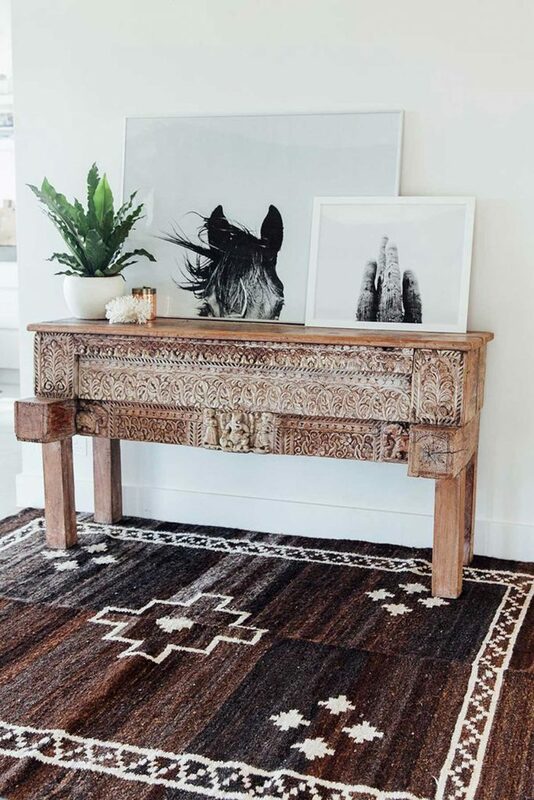 Some key tribal interior design traits include fringe work, beading, rattan, bone inlay, shell, leather, feathers, hand stitching, pottery, batik and mud cloth. 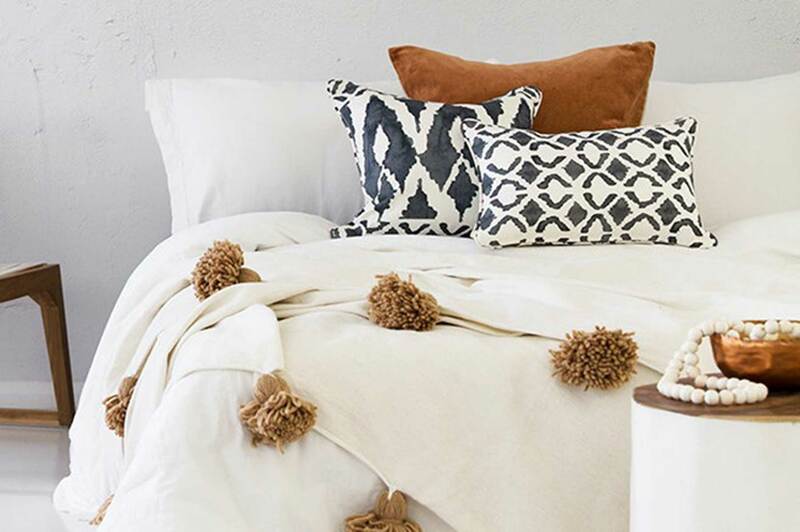 Distinctive tribal prints are also key to adding a rustic and authentic tribal feel. However, try not to go overboard with the tribal prints so use it on a few key pieces. 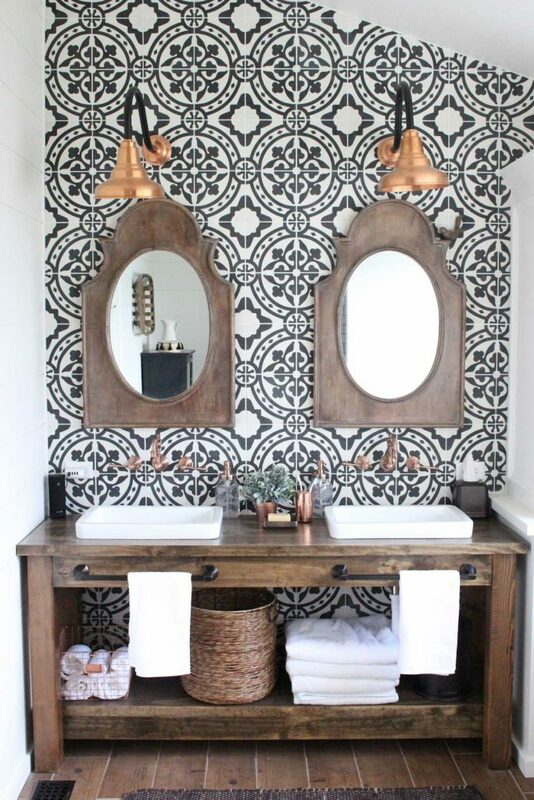 For example, you might want to use an Aztec-inspired rug or Southwestern cushion covers. Sticking to a monochrome palette has been a feature of the tribal revival style. Pigeon & Weasel Candle-classic Vanilla. Fresh yet mystical. To achieve a chic African design style, sticking to warm natural tones and experiencing with a range of natural textures is fundamental! Add some Tribal influence to a Rustic interior design theme or Boho interior design look.